Publisher: Electronic Arts. Developer: EA DICE. Platform: PC, PS4, XBOX ONE. 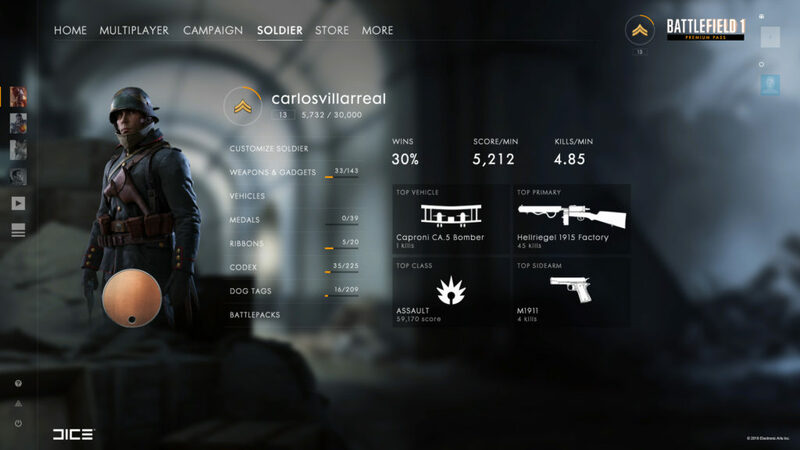 Battlefield 1 is a first-person shooter war game that takes place during the events of World War I. 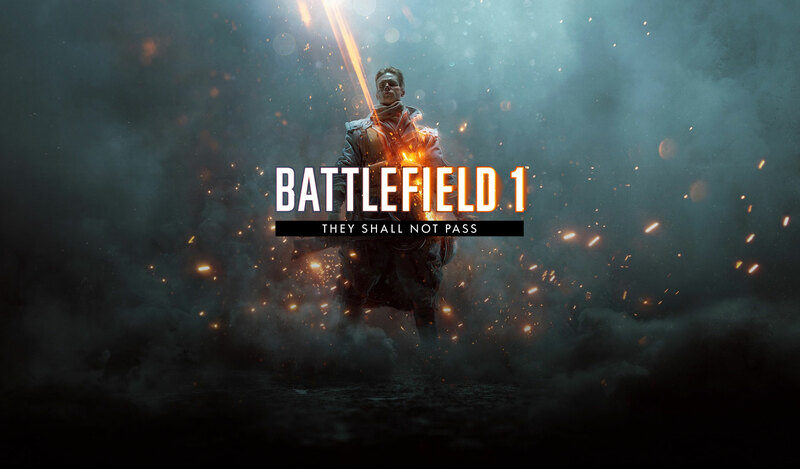 They Shall Not Pass is the first expansion pack and it showcases new content additional to the main game. 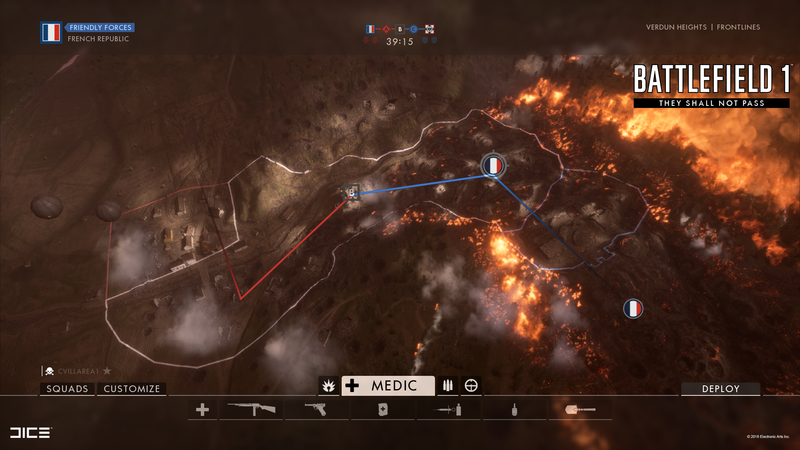 The French Army is introduced, a new game mode called Frontlines, and many other features. This expansion pack is one of the biggest for the franchise so far. As 2D Artist I was heavily focused on UI design and implementation which allowed me to work in many areas related to UI and UX. 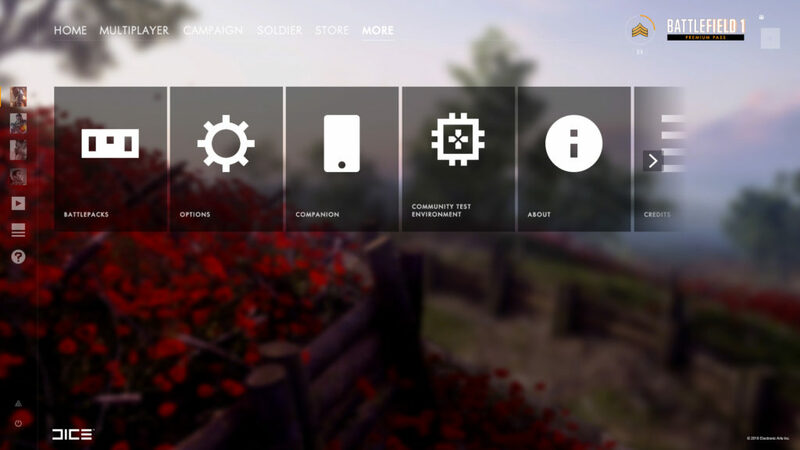 Working closely with the team I had the chance to create art for the front end, design icons, work with cameras and implement UI elements working within the Frostbite engine. All images are property of Electronic Arts. I did not contribute to the Key Art image displayed above. 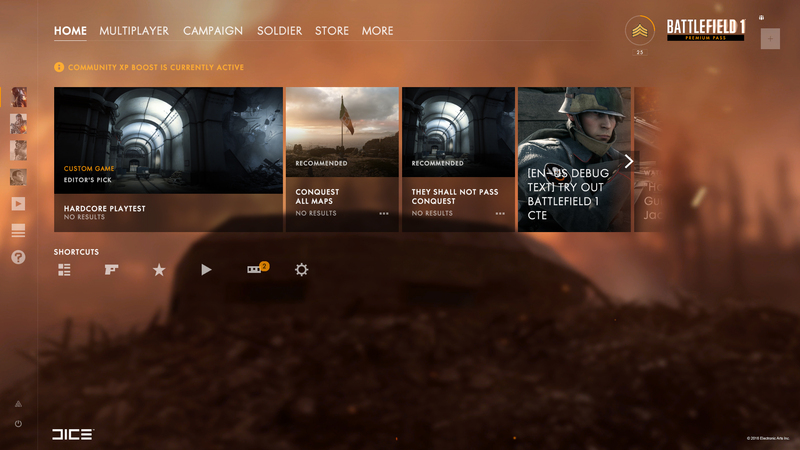 As 2D Artist one of my tasks was to capture in-game screenshots for the Front End. The images had to be post-processed and layered in order to achieve a parallax effect. The image had one final post-process blur effect in the engine in order to achieve readability in the content. Fig. 3 - 6 Front End background images created from different levels and applied on the Front End. Fig. 7 Front End background image. Fig. 8 Camera Deploy Screen for Verdun Heights Multiplayer Level. I was responsible for implementing several UI elements and part of that job involved working with cameras. Using technology developed for the retail game I had the opportunity to frame all deployment cameras for all levels on all game modes. I was responsible for creating all the Minimap images using technology developed for the retail game. Part of that job involved creating all the different icons for new features such as flags or vehicles. Fig. 10 Vehicle Icons for the Front End. I was responsible for designing and creating various different 2D assets to support the new features. The icons above correspond to new vehicles introduced for the French Army.